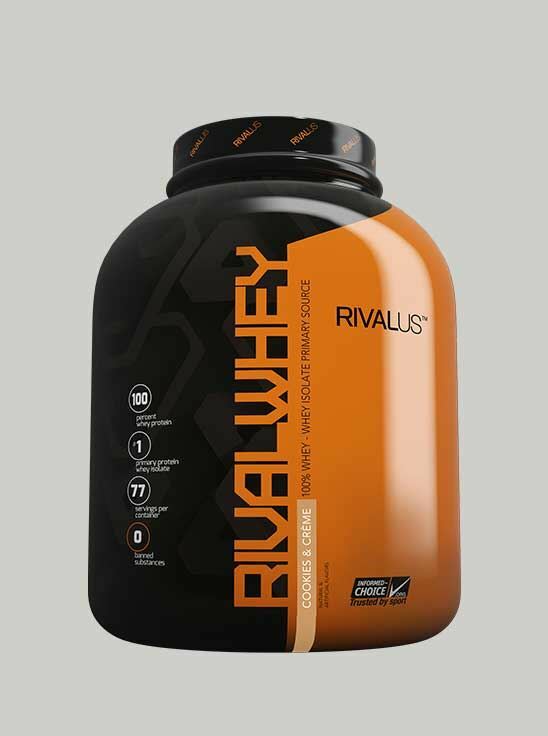 RIVALWHEY- the most valuable nutritional source for an athletic body is pure protein. That's why our 100% whey protein formula led by Whey Protein Isolate delivers major high-value protein bang for your buck. With ZERO BANNED SUBSTANCES, RIVAL WHEY is invaluable for athletes competing at the highest levels. Q.7 If RIVALWHEY is a protein derived from milk, why can’t I meet my protein requirements from diet alone? Here’s the quantity of different protein foods you will have to eat to get same amount protein that is there in one scoop of RIVALWHEY (24grams): 2 Leg Pieces of Chicken (100gms) or 7 egg whites or 4 glasses of milk (150ml each) or 4 whole eggs or 3 medium sized fish (100gms) or 100ml packs of Plain Curd. Whey protein helps in muscle gain by repairing the torn muscle tissue and increasing its size (hypertrophy). Thus, the weight gain seen will be in form of muscle gain and not fat gain. Increased muscle mass will lead to increase in BMR and therefore increase fat burning as well. I am definitely going to purchase again! Best Product For Weight Loss And Build Lean Mass. Will Stick To It If Get Good Results! It Tastes Good, It Mixes Well, It Gives A Great Texture When Mixed With Water. It Is Relatively Easy To Digest Too.